Miriam Murphy leads the Advanced and Specialist Solutions business across Tech Data in Europe. She assumed this position on February 1, 2018, having spent the previous year leading the Tech Data business operations across Belgium, Netherlands and Luxembourg. Prior to joining Tech Data through the acquisition of Technology Solutions in 2017, Murphy served at Avnet for 18 years, most recently as senior vice president, North Region, leading the Technology Solutions business across North Europe (including the United Kingdom, Ireland, Benelux and Nordics) for 3 years. In the previous years, she held several EMEA board-level positions leading various disciplines including vendor management, marketing and operations for Avnet Technology Solutions. 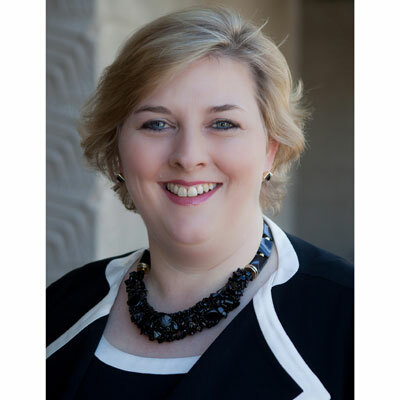 Murphy originally joined Avnet's Electronics Marketing operating group in 1999, having spent her career to that point in various sales, marketing and business development roles in the semiconductor distribution business. She led the group's high-end product group until she transferred to Technology Solutions in 2003. An Irish native, with a Bachelor of Commerce (Hons) from University College Dublin, Murphy has been based across five European countries through her career, relishing in the learning experience of immersing oneself in different cultures throughout that time. She is currently based in Brussels, Belgium. Following the announcement of Tech Data's intention to buy Avnet's Technology Solutions division, Murphy stepped into the integration steering committee, working with the team to set out the strategic goals and framework for the successful integration of the largest IT distribution acquisition in Europe. Through the process, Miriam was a leading stakeholder in defining the strategy and structure of the organization that was to become Advanced Solutions in Europe, the largest value distributor in the region. When the acquisition was completed in early 2017, she assumed responsibility as senior vice president, Belgium, Netherlands and Luxemburg for operations in the region. Sitting on the European Executive Board of the Tech Data organization, Murphy quickly integrated to become a key player in this market-leading organization. In February, she was appointed to lead the organization's Advanced and Specialist Solutions group across Europe. In this role, she holds regional responsibility for Tech Data's Advanced Solutions go-to-market strategy, which includes products and services for datacenter and next-generation technologies such as cloud, internet of things, analytics, security and associated services. She also holds regional responsibility for the Maverick AV Solutions and Datech Solutions specialist solutions businesses and continues to serve on the company's European Executive Board. • Driving profitable growth for Tech Data across products and services for datacenter and next-generation technologies such as cloud, internet of things, analytics, security and associated services across Europe. • Enabling the transformation of the channel partner ecosystem to optimize their potential across the next-generation technologies and business models. • Developing the talent across the organization to lead in the transformation of the IT channel across Europe. I have had the pleasure to meet with Meg Whitman, former CEO of HPE, several times over recent years as she led the organization through phases of recovery and transformation. Her passionate drive and calm engagement was evident even through the toughest of times. Most of all her connection with her customers and partners was constant. The level of personal attention and interest that she took in soliciting opinion as she travelled the world made each and every person she met feel valued. Her ability to balance gravitas and intimacy is something I have grown to admire greatly. Learn from every experience, however small, as they all enrich your life, and pick your battles wisely - this would have made the early years of my career much more balanced. Memorizing text and prose - I have always prided myself on my ability to remember names, dates, people, facts, etc., and I would love to improve my ability to do so with prose to ensure that I could share more specifically some of the amazing quotes from literature that I come across more precisely with others. Sharing learning is always a pleasure. Nelson Mandela - Conversations with Myself Mandela was an incredible leader, a symbol to the world of resilience and dignity. This book gives access to his private archives and insight into the man behind the leader. I found it humbling and challenging in equal measure. Most of all, it made me reflect on my own leadership style and its impact on those around me.